This is an interactive class designed for students who are not yet ready to be in the classroom alone. The exploration of movement is introduced using fun upbeat music and a variety of entertaining activities while dancing alongside a parent or caregiver. The explorations of basic elements of dance are introduced through games, songs, movement exercises and imaginative stories. Movement exploration will increase body awareness, coordination and weight shift. Young students are encouraged to develop locomotor skills such as jumping, leaping, skipping, hopping and galloping in a creative, fun and nurturing environment. Elements of creative movement are expanded upon with the continued development of body awareness, coordination and weight shift. Exercises will begin to focus on posture, straight legs and stretching the toes. Locomotor skills continue to be expanded through creative exploration of space, shape, energy and rhythm. Students will begin to develop a movement vocabulary of ballet terminology, body positions and arm movements while continuing to incorporate elements from creative movement. The pace of the class is kept lively by creating a fun and nurturing environment through games, imagination and creative stories. Partnered with pre-ballet to enhance the development of coordination through rhythm and basic tap steps. Young students will enjoy making music with their body in a fun and interactive way. Students are introduced to a basic ballet syllabus, developed with the fundamentals of Eisenhower Dance, which will progress in vocabulary, technique and movement quality through each of the levels. Alignment, flexibility and strength are of paramount importance. Students will gain knowledge of classical ballet technique through the development of barre and center exercises, which will expand in length and days per week as levels progress. Derivative of several disciplines of classic modern dance, contemporary dance incorporates the basic fundamentals of modern dance with current movement styles of today. Students are introduced to a basic modern syllabus, developed with the fundamentals of Eisenhower Dance, to enhance their vocabulary through weighted movement, floor work, and improvisation. Alignment, flexibility and strength are of paramount importance. Students will be challenged through technical and physical movement combinations. Class length and days per week will increase as they progress through the levels. A stylistic technique usually paired with popular music will be introduced with a basic vocabulary syllabus, developed with the fundamentals of Eisenhower Dance, which consist of alignment, body isolations and complex rhythms. Alignment, flexibility and strength are of paramount importance. Exposure to various techniques of well-known jazz choreographers and musical theatre are incorporated in the progression of classes in a fun and high-energy environment. Students are introduced to the basic vocabulary and style of hip-hop movement performed with hip-hop music. Diverse in stylistic nature, movement vocabulary will explore Hip-hop style with body isolations, “pop and lock” and “break” dance in a fun and high-energy environment. As levels progress, movement combinations will focus on rhythmic accuracy and develop into current hip-hop styles of today. Music choices are pre-screened by faculty. Focusing on a variety of rhythmic sounds created with tap shoes, students will begin to develop a basic vocabulary of tap steps that will increase in complexity and style as the student progresses through each level. Students will develop rhythmic skills and intricate footwork while gaining knowledge of musical theatre and tap styles from the 1940’s through current trends of today in a fun and high-energy environment. Pilates, founded by Joseph Pilates, is a conditioning program that improves muscle control, flexibility, coordination, strength, and tone. Pilates bonds body and mind through two principal components: posture and breathing. By centering on the abdomen, Pilates strengthens the muscles in the back, hips, and stomach to support the spine. The method works the deepest layer of abdominal muscles and focuses on strengthening and stretching. Acrobatics teaches flexibility, balance, strength, muscle control, discipline & concentration. This class will focus on fundamental acrobatic technique. Students will learn such things as handstands, chin stands, elbow stands, cartwheels, back bends, walkovers, balance, & athletic tricks. Acro is not the typical tumbling or gymnastics class. This class is great for students looking to enhance their agility, flexibility & strength. A unique class for individuals whose focus is Musical Theater, this class teaches basic dance technique of ballet and jazz in order to enhance movement capabilities for theatrical productions. Derived from the Hindu culture, Yoga combines mind, body and spiritual wellness through breath and a series of body poses to develop physical strength as well as mental strength to enhance overall wellness of the body. Do you run a pre-school or pre-K program? Eisenhower Dance Center is offering one free dance class for preschools in the Birmingham and Rochester areas from now through May 30, 2016. With health and fitness in mind, the class will encourage students to keep fit through dance. The class will also reinforce locomotor skills, concepts such as opposites (up/down, fast/slow, left/right), creativity, and a love for the arts. Each 45 minute class will be taught in your own preschool environment by staff from the Eisenhower Dance Center. Many of our teachers are past or present members of the Eisenhower Dance Professional Company. We hope that you will take advantage of this fun opportunity for your students. Please call 248-609-0370 to schedule a class now! The Eisenhower Dance Center offers a one-time class that meets the requirements for a Brownie Dancer Badge. The program lasts 1 & 1/2 hours and includes a ballet warm-up, jazz combination, pantomime from Swan Lake, creative movement, and a question and answer session. Girls can wear dancewear or loose fitting clothing, bare feet or socks (preferred) and will have the opportunity to participate in a classroom setting. 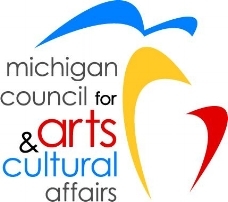 Badge programs are held on Friday nights or Saturday afternoons in either the Rochester or Birmingham studio locations and must be scheduled in advance by calling 248-609-0370. Troop leaders may bring refreshments and hold a short meeting at the studio if desired. Troop leaders are also responsible for supplying the badges. Please call the studio for pricing and to schedule your dance party today! The National Honor Society for Dance Arts is a program within the National Dance Education Organization, a non-profit organization promoting standards of dance excellence. NHSDA recognizes achievements in dance for middle and high school students, who can cite NHSDA induction on scholarship and college applications and resumes. Graduating seniors can wear an honor cord and gold pin during their graduation ceremony and are eligible to apply for the NDEO Artistic Merit, Leadership and Academic Achievement Award. NHSDA students are provided with opportunities to use dance as a service to others and as a means of helping the community.